A new report from the Ohio Environmental Protection Agency says that despite billions spent in the Lake Erie watershed to improve water quality, there has been no clear trend of reducing phosphorus levels in the state’s watersheds. 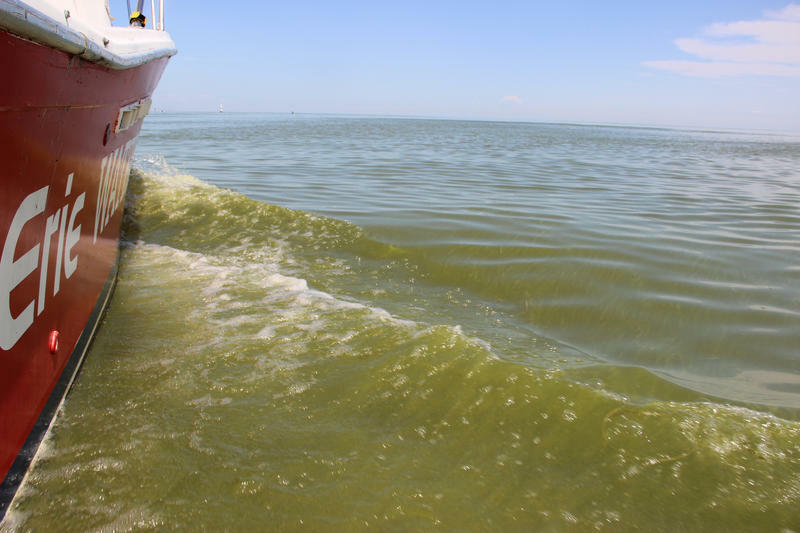 Runoff of nutrients, mainly phosphorous, from agriculture have been blamed for a series of toxic cyanobacteria blooms in Lake Erie. Ohio has spent more than $3 billion to improve the Lake Erie watershed since 2011. The health of Lake Erie has become a matter of regional concern. 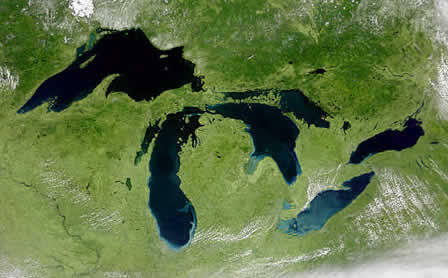 Under a 2015 agreement, the governors of Michigan and Ohio, and the Premier of Ontario signed onto a goal of achieving a 40 percent reduction in phosphorus entering Lake Erie’s western basin by 2025, with an interim goal of a 20 percent reduction by 2020. In Michigan, the focus has been on discharge from three areas--the Detroit River, the Raisin River, and Michigan’s portion of the Maumee River basin. In a 2016 report, the Michigan Department of Environmental Quality reported that Detroit River phosphorus reductions have met about 95 percent of the annual goal. The Raisin River watershed saw a 36 percent reduction between 2008 and 2016. Phosphorus load patterns for the Michigan portion of the Maumee River basin, including Bean Creek and St. Joseph River, have not yet been studied. Thus far, regional efforts to reduce the nutrients flowing from farms into the lake have focused on voluntary farm programs. Alaina Nunn, a graduate student in Michigan State University’s College of Agriculture and Natural Resources studying nutrient runoff from farms in the Raisin River watershed, says that farmers are willing to change their practices to reduce phosphorus emissions--but they need more data on the effects of the changes they’re making. “We have found that on those fields we're still getting some pretty concerning levels of phosphorus. The problem really to me is that they don't have data that can confirm for them that they should be doing anything else,” says Nunn. Pete Dinius is a farmer in both Ohio and Michigan. He’s been participating in Nunn’s research project, and says the work has already given him valuable feedback he wouldn’t have had any other way. “Our winter months are when our soils are leakiest. A lot of people think that it’s during the growing season when we have troubles, but it’s during the winter when we have nothing growing on the ground,” says Dinius. TOLEDO, Ohio (AP) - Ohio has come out with an updated plan to sharply reduce what's making algae flourish in Lake Erie, but some environmental groups say the strategy lacks direction about what to do next. The plan is designed to lay out how Ohio intends to reach its goal of making a 40 percent reduction of phosphorus within the next eight years. 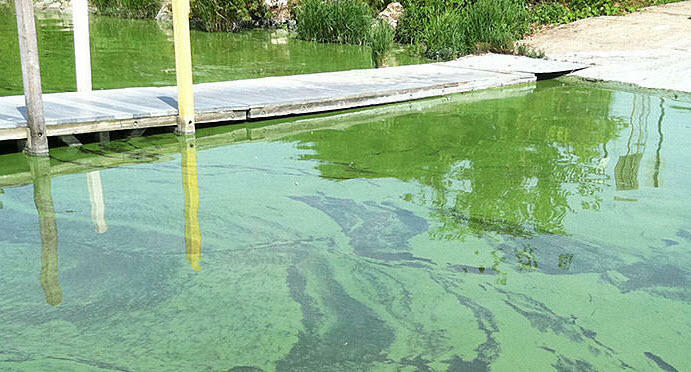 Michigan and the Canadian province of Ontario along with Ohio signed a deal two years ago agreeing to make steep cuts of the phosphorus that sparked large algae outbreaks in recent years.